After you have been arrested, it is important to quickly seek out the help of a bail bondsman. The same is true if your loved one was put behind bars and has contacted you for help. Posting bail isn’t a simple process when you do it alone and, in many cases, it is too costly for the average person to handle. For this reason, bail bondsmen exist. They allow you to only pay a percentage of the bail amount, commonly called a premium. Once you pay the premium, they post the rest of the money on your behalf. This makes it affordable and attainable for almost anyone to post bail. 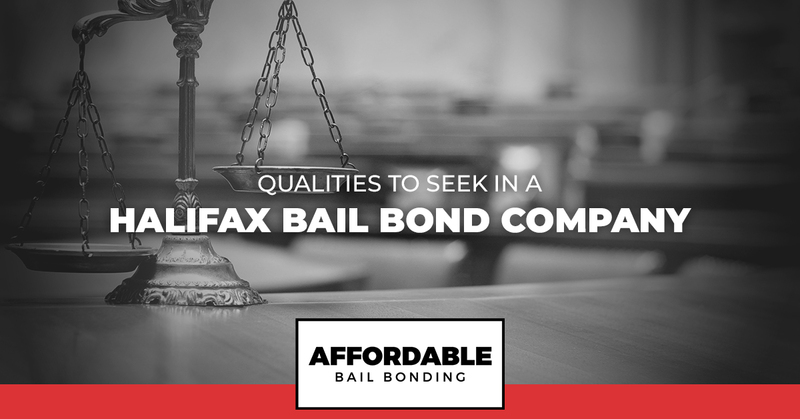 If you are looking for a bail bond company in Halifax to help you post bail, make sure you seek out one with the following qualities. First and foremost, when you are posting bail in Halifax, you need a bail bond company that has experience locally and is going to be reliable. The last thing you want to do is be stuck waiting around on an inexperienced team while you sit in jail. A good bail bond company will already understand the local jail system. This will help make the process of posting bail much more efficient. Not only will experience help make the process faster, but it will also leave you feeling 100 percent certain of what will happen next. A good bail team will keep you in the loop the whole time. If you are posting bail for a loved one, they will be there to walk you through the entire process without ever leaving you in the dark. Generally speaking, getting arrested doesn’t happen at an ideal time of day. In many cases, arrests occur late at night. When your loved one is sitting behind bars — or you are in jail — the last thing you want to do is wait for a bail bond company to open back up for the day. A good bail bond company should be on call 24/7. Getting arrested isn’t something you plan, so why should a bail team have set office hours? Here at Affordable Bail Bonding, we are always on call. It doesn’t matter if it is a Monday, a Sunday, Christmas Eve, or midnight. When you need help, we are there. Here in the United States of America, you are considered innocent until proven guilty. Never work with a bail team that belittles you or acts judgmentally toward you during the bail process. You have rights as an American citizen and one of them is to be treated fairly while you wait for your court date. A good bail bond company will be there to help you, not judge you. They will respect you and your family and always treat your situation with professionalism. They should be discreet and ensure your privacy is guarded. What are people in the community saying about the bail bond company you are considering? Do they have a good reputation locally? This is a must! A bail bond company that cares about their reputation will strive to ensure you are happy with the service you receive. Their goal should be that any client they have worked with would speak highly of their services. While bail is a unique industry in that no company is hoping for you to be a return customer, they should still endeavor to leave you 100 percent satisfied with how they handled the bail bond process. Read reviews and ask around before you hire a bail bond company. Not every bondsman is the same. Bail should be affordable. Unfortunately, that is not usually the case. In many situations, your bail amount is set at a dollar value you can’t pay. That is why bail bonds are so incredibly beneficial. They allow you to pay only a percentage of the total amount owed. However, there are cases where even 10 percent of your bail amount is too much. If you are facing this situation, seek out a bail bond company that offers financing options. This is an excellent way to ensure that you or your loved one are released from jail without issue. Looking for a bail bond company in Halifax you can trust? Contact our team at Affordable Bail Bonding. We focus on providing high-quality service and speedy bail.